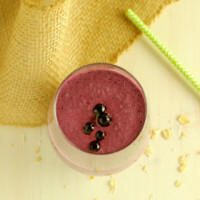 This Wild Blueberry Pecan Breakfast Smoothie is brimming with nutrient rich wild blueberries, kefir and fiber-rich oats. It’s a complete grab and go breakfast! Disclosure: By posting this recipe, I am entering a contest sponsored by the Wild Blueberry Association of North America and I am eligible to win prizes associated with the contest. I was not compensated for my time. We are well into 2016. Are your new year resolutions a distant memory or are you making the progress you set out to make? 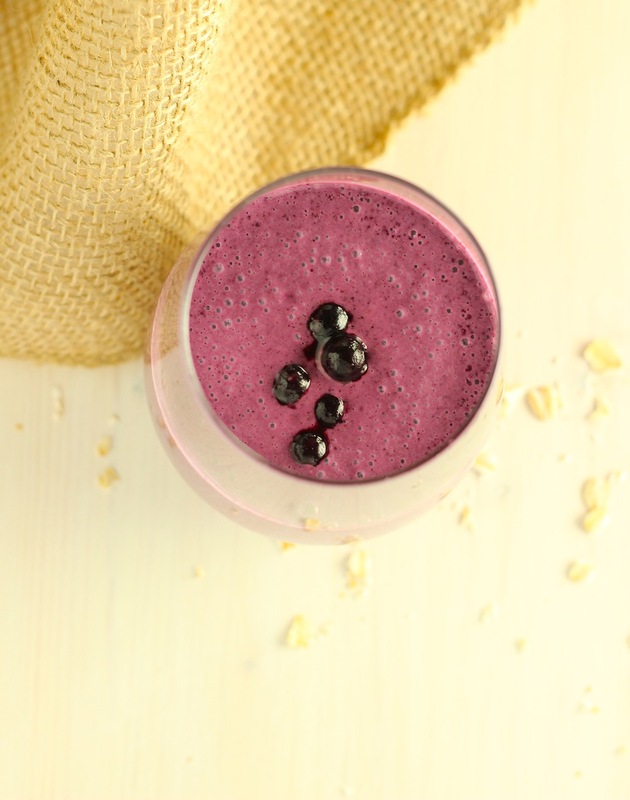 If you’re getting a little bored with breakfast, my easy Wild Blueberry Breakfast Smoothie can add some vibrancy to your mornings and make it easy to get on with the day. During the week, I don’t spend much time on breakfast. I usually have oatmeal with fruit and nuts plus yogurt as a snack midmorning. This Wild Blueberry Pecan Breakfast Smoothie combines a few of my morning faves in a quick and easy smoothie. This smoothie is a nourishing and delicious breakfast in a bottle. Instead of yogurt, I’m using plain kefir which delivers a healthy dose of probiotics to promote good gut health. The oats deliver satiating fiber and the pecans give a boost of heart-healthy fat. And the star, the wild blueberries, deliver incredible flavor, color and loads of nutrition which I’ll explain in a second. 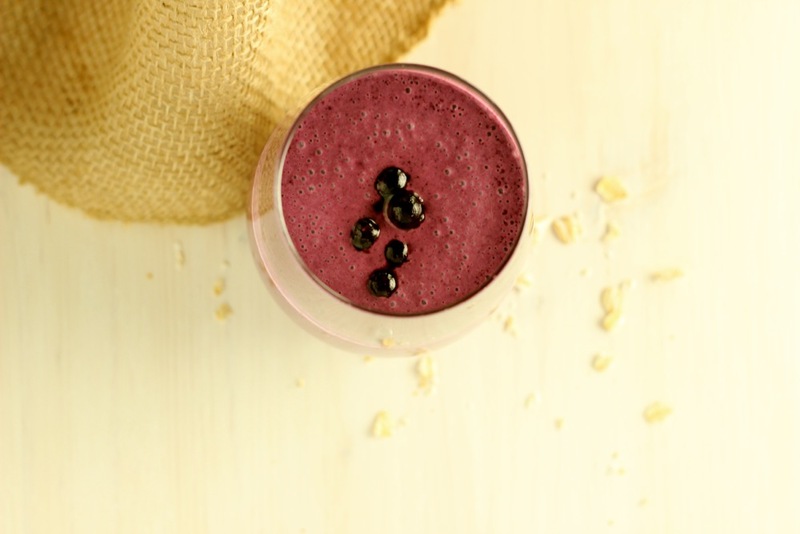 When Kara, The Foodie Dietitian, reached out about the #WildYourSmoothie recipe contest, I thought it was a great opportunity to get to know wild blueberries a little better. Truth be told, I’ll take any excuse to play in the kitchen but this one comes with an opportunity to feed my inner food nerd and the potential to win a trip to visit the barrens where wild blueberries are grown. No brainer! Are an excellent source of manganese, providing 8 times that of regular blueberries for bone health. Are always available. Look for them in the freezer aisle at the supermarket. I’ve purchased them under the Trader Joe’s and Kroger store labels. Both are delicious! What’s more? 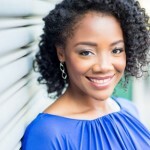 The beautiful deep blue color hints at the health benefits beyond nutrition. Research continues to mount on the added health benefits of wild blueberries. These potent little gems may help with brain health, heart health, cancer prevention and more. Clearly, wild blueberries are as healthy as they are gorgeous and a lot of fun to eat! What’s not to love? Go ahead and get started. Grab the easy recipe below and let me know what you think! Put all ingredients in a blender. Puree until smooth. Enjoy immediately. All images and content are (C) Marisa Moore. Please do not republish any content without express prior consent.